In the middle of the road of my life I awoke in a dark wood, where the true way was wholly lost. Dante begins his Divine Comedy with a sentiment for the ages, something with which we all can identify. Like Moses and countless others who have set out on what Joseph Campbell called the Hero’s Journey, this past year I left home. I would prefer to have departed with a detailed topo map, trails marked in red, instructions in the back for what you do when a mountain lion sees you on the lunch menu. Unfortunately, the kind of journey I am on does not include maps. I shouldn’t be surprised. When you leave home nobody gets a map, not even Jesus. 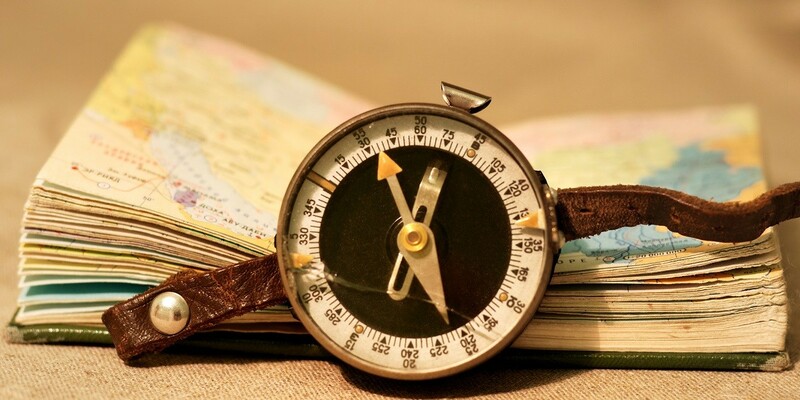 A compass is all you get, and you don’t have a damn option in the world but to trust it, with its quivering needle pointed toward what you oh so desperately hope is magnetic north. Jesus answered his last public question by telling his listeners to love God with all your heart, soul and mind. He might have put the heart first because he was just in a mood. Or not. Maybe he put the heart first because he knew good and well that only the heart has the fortitude to keep on traveling through the long dark night. Only the heart truly knows the way home, even if it’s never been there before. And only the heart knows that when you do get home, it’ll look like it’s been expecting you. The light on the porch will be on and there will be a steaming cup of Darjeeling by the easy chair. As you pass through the doorway, the liminal space between darkness and light, you will be greeted by a comforting hand on your weary shoulder—just like the one on the son’s shoulder in Rembrandt’s painting of the prodigal. I’ve been spending a lot of time lost on a very faint elk path. Sometimes I want to go any direction that will get me back to something I recognize. I will go back, forward, or even bushwhack through the woods if it’ll get me to something familiar. But of course that is the voice of reason, the voice of the privileged entitled life, the voice of the kind of control I knew most of my life. And it will not do. No, the only route home is through the wilderness, over the road of trials, trusting the integrity of the journey to bring me to a place I recognize as home.